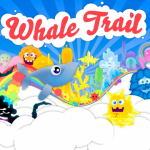 Whale Trail ($0.99) by ustwo™ is a delightfully colorful and addictive game, with a catchy tune to boot, that falls in the “pick-up-and-play” genre. If you’ve played Tiny Wings, you’ll instantly know how this game works. 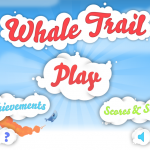 In Whale Trail, you control a whale named Willow. An evil monster, Baron Von Barry, has taken over the seas, and Willow must escape the grasp of evil! So, naturally, you must fly through the sky to escape danger. But watch out for those evil clouds! 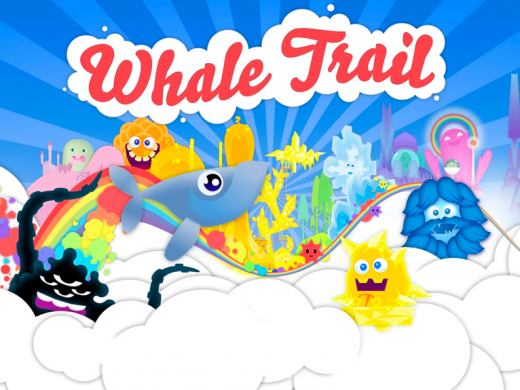 Fortunately, Willow has the “whale trail,” and refuels by collecting colored bubbles along the way. However, to continue flying, Willow must always have fuel on hand. 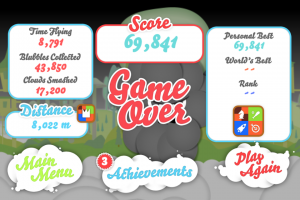 The goal of the game is to mostly just get the highest score possible. 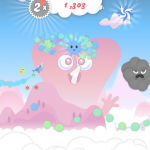 Controls are super simple – just tap on the screen to keep Willow afloat; letting go will have Willow fall. The longer you keep your finger on the screen, the higher Willow will go, until she does a loop and goes down again. For Willow to keep the whale trail, she needs fuel. 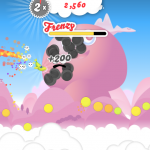 Along the journey, you will find colorful bubbles scattered all over the sky. Collect these to keep the trail going. 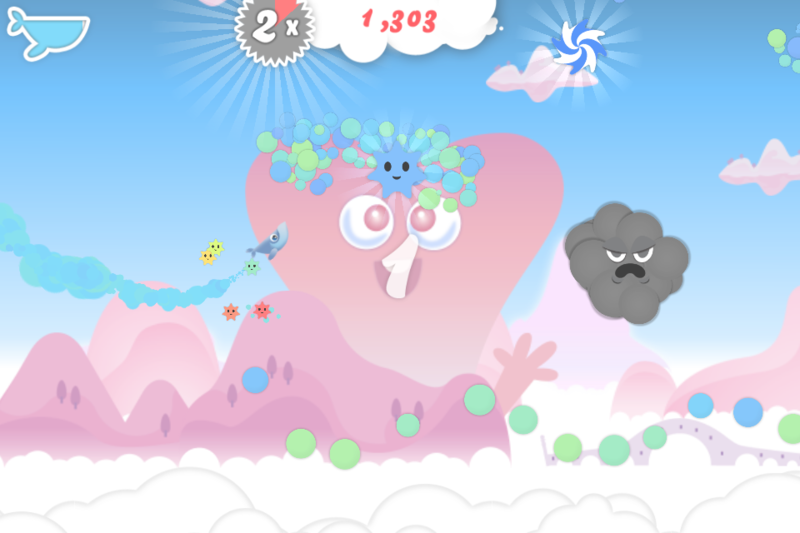 The more bubbles you collect in a row, the higher your multiplier becomes. Evil clouds will be in the way though. 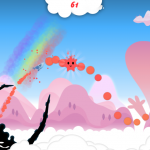 If you touch them, your multiplier is reset and a chunk of fuel is depleted, so watch out! Mixed in with the bubbles are star creatures. When you collect enough of them, Willow goes into “frenzy” mode. In frenzy mode, you become invincible for a brief amount of time (as shown by the meter on the screen). 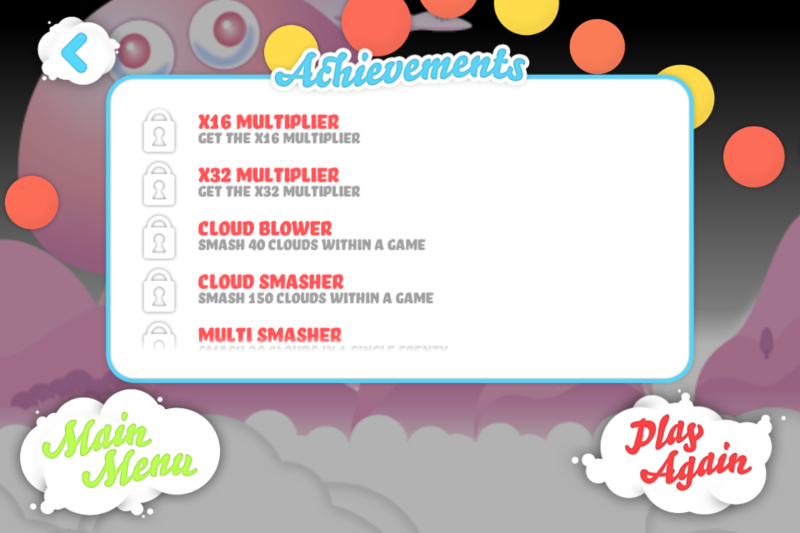 You can smash into the clouds to grab even more points. 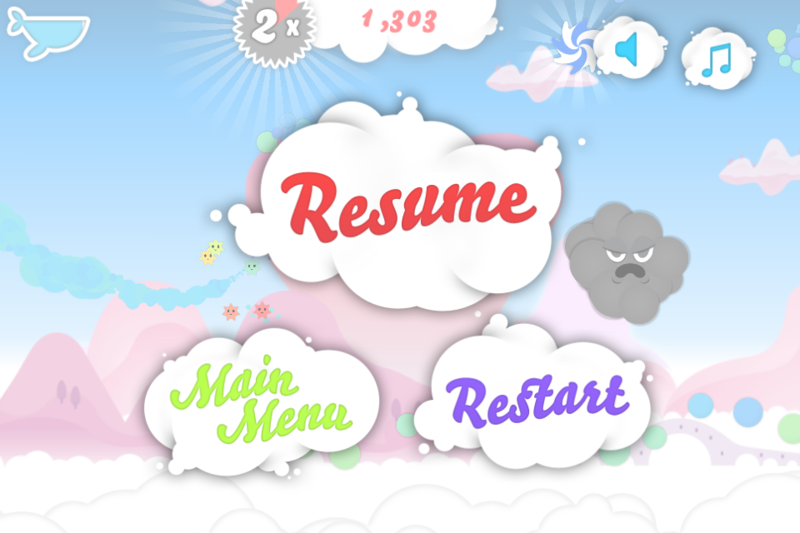 Speed boosts are scattered throughout, represented by what looks like pinwheels. Going in these will not only boost your speed, but give you a small lift in height. 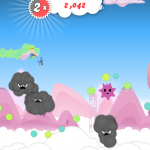 Whatever you do, just don’t fall beneath the clouds – the Baron will catch you and it is game over! 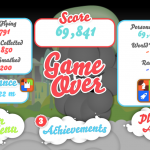 Make sure to strive for the highest score before that happens. 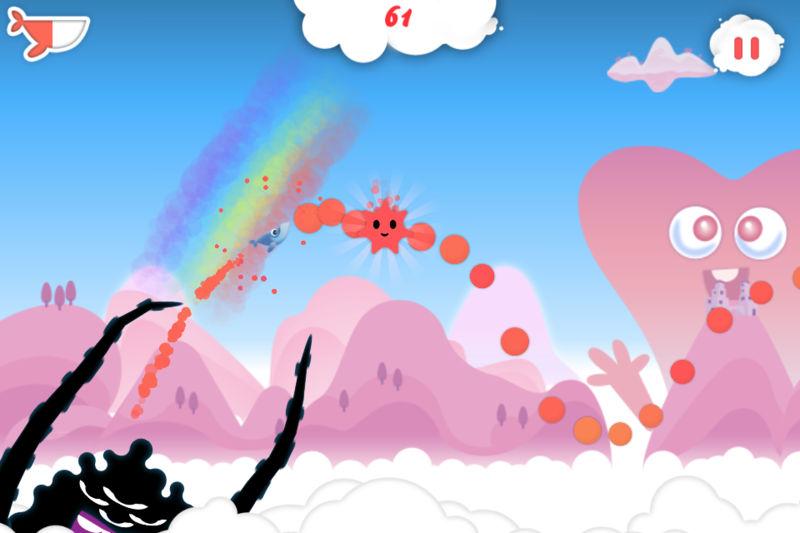 The graphics of the game are beautiful and Retina display ready, and the tunes playing in the background are even better. 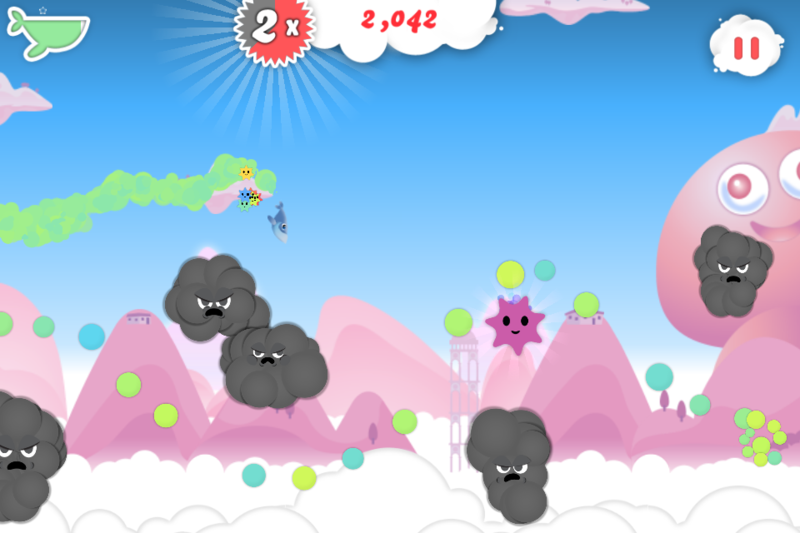 In fact, when you reach insane heights, you’ll even hear “I can see my house from here!” The quirky tunes just add to the overall appeal of the game. 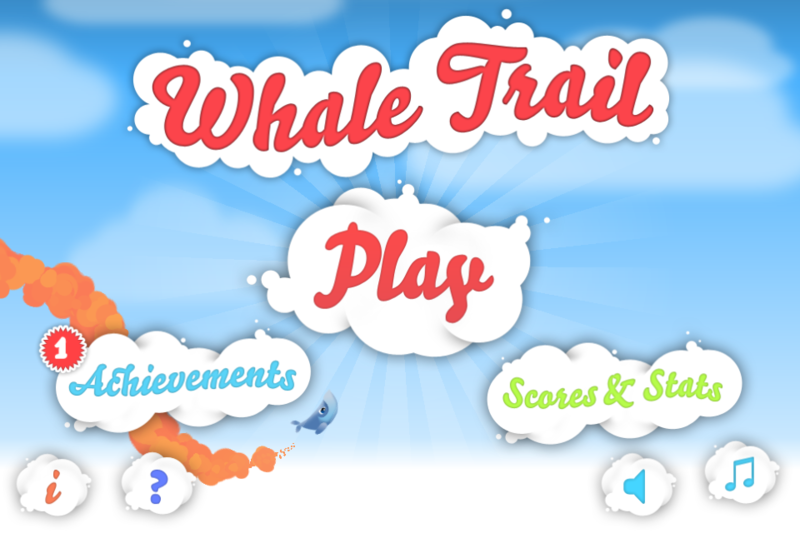 Game Center is fully integrated into Whale Trail with leaderboards and 43 achievements. I found the game to be a delight to play. It is simple, but keeps you coming back for more. 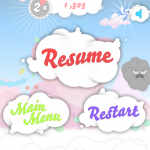 While there is only one gameplay mode at the moment, the developers will be adding more in the future. 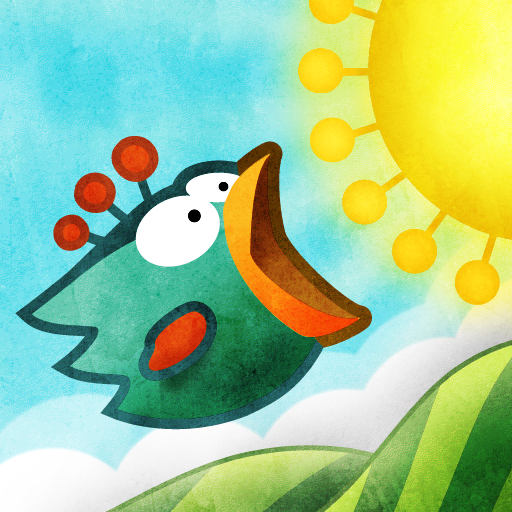 If you’re tired of the common bird theme, then give a flying whale a try. At $0.99 for a universal app for your iPhone and iPad, it's definitely worth it.